Why a fragrance range designed for professional use in spas? It’s not strictly true to say these are limited to professional users. Let me explain where we’re coming from. Ten years ago, we introduced a range to give customers the same fragrances prescribed or used by well-being professionals - our first Aromatherapy collection. It was well received by professionals but perhaps more importantly, also by their clients. Research told us customers were not only using them for relaxing at home but also for home treatments - for example, booking a home massage is something that’s really grown in the last decade. So, these really aren’t just for professionals in a spa, they’re also for recreating a luxury spa experience at home, with or without a treatment. If spas are already using fragrances, why the need for a new range? The first Aromatherapy range established the principle that home users want the same quality as professionals, but that was 10 years ago - things have moved on. Developments in fragrances, spas and the new treatments made us consider creating a new dedicated SPA range. Simple, focussed, with longer burn times and of course, Coreless CleanBurn technology so you get that consistently strong fragrance throughout the burn (it’s called a hot throw) and a really clean burn. Two things made me think we should do a dedicated range. 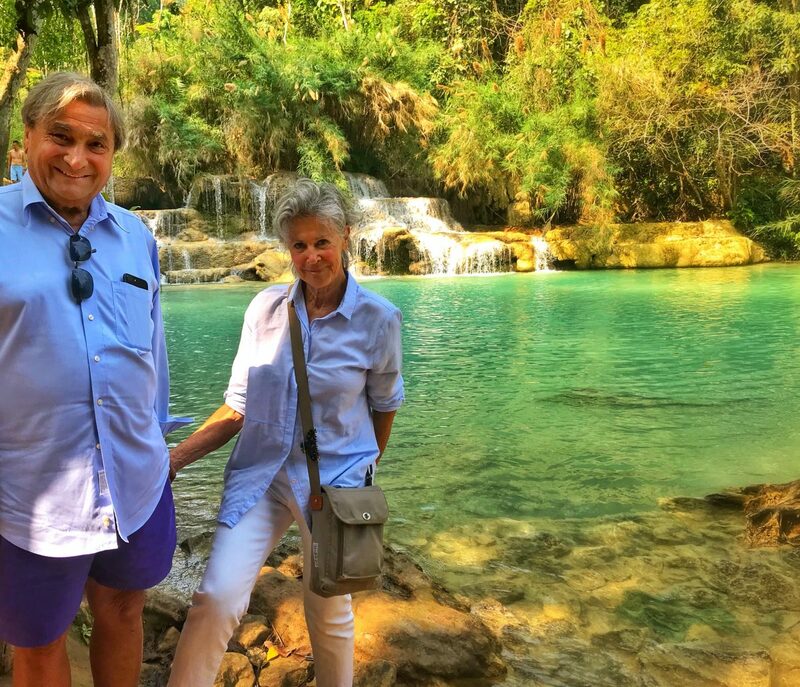 It started with a trip to the Far East and discovering some traditional, authentic spa treatments in Japan, Cambodia and Thailand. 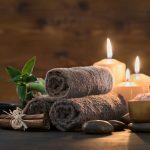 There’s a long history of eastern spa treatments, a lot of well-being knowledge - especially when it comes to complementing these ancient rituals and treatments with fragrances. There are some really beautiful scents - but only made locally. 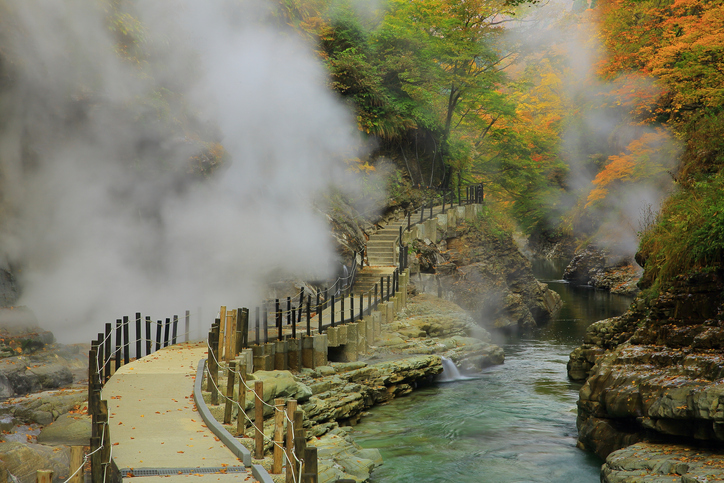 There’s a place called Akita - a hot-spring paradise in Japan. Part of the Onsen (hot spring) ritual is to cut yuzu fruit under running water. You get a light, citrus scent that perfectly counters the heat of natural hot spring. I loved it - but not very realistic to have your own hot spring and supply of yuzu fruits at home. Come to think of it, not very easy to have them even in a luxury spa. It made such an impression that once we’d developed a fragrance which captured the whole thing (and by that, I mean the scent of fresh-cut yuzus as well as the hot spring and forests surrounding it), we named one of the fragrances Onsen. You said there were two things? Yes. Well… firstly, I’d noticed over the last 10 years lots of new treatments (including many with eastern origins) being introduced into spas - that went beyond aromatherapy. After visiting the Far East, it felt like the fragrances being used in these new spa treatments hadn’t been developed from the original ritual. Spa professionals were using existing fragrances – so, I wanted to make a dedicated range. There’s a reason some of these rituals, treatments and the scents they use have survived thousands of years - they’re really good. Secondly, as with our Aromatherapy range, it felt like there was a lot of potential to give not just spas and spa professionals an authentic scent experience without having your own supply of yuzu fruits, but also an easy, affordable way for anybody to re-create either that luxury spa experience, or even the original ritual at home. A piping hot bath, an Onsen candle, close your eyes and you’ve got your own hot spring treatment for the cost of a scented candle. Another example is Alpine. 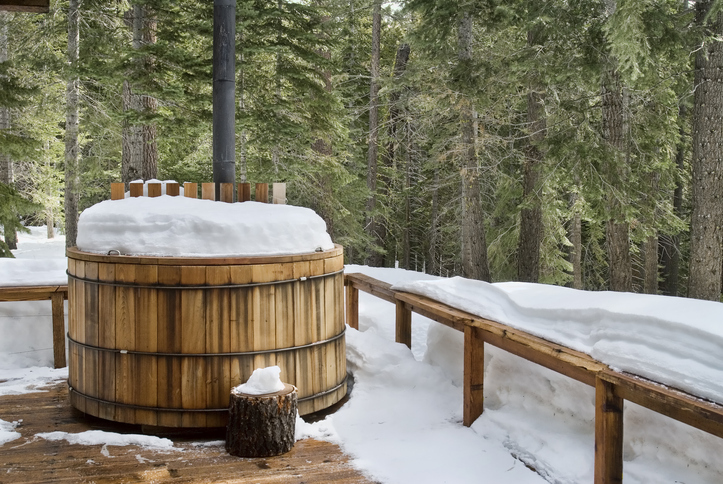 Close your eyes and you’re on a snow-covered mountain in an outdoor hot tub surrounded by pine trees. There are five fragrances in the SPA range at the moment. Onsen, Alpine, Breathe, Rosarium and Plumeria. All of them came from different inspirations. Breathe is about a really clear ocean breeze in the sun. 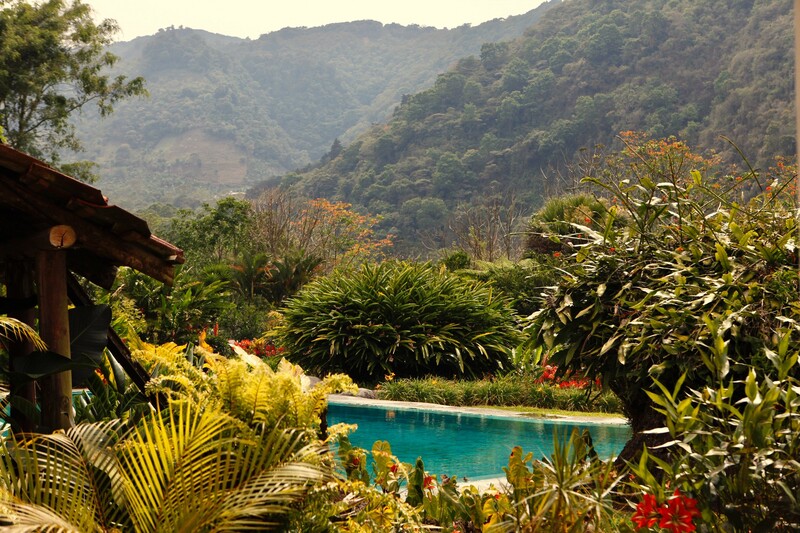 There are some spas in amazing locations and one that stuck out was in a wilder part of Costa Rica - the Nicoya peninsula. Imagine a rich green jungle right behind you and you’re on the beach looking onto the Pacific Ocean. A wild, elemental setting - probably exactly the same view since mankind first set eyes on it. Just a stunning setting. It didn’t seem to matter which treatment I had there, they all seemed amazing. So, Breathe is less about a specific spa treatment or well-being ritual and more about being pampered in the perfect location. Every time I smell that scent it takes me there. Rosarium came from a resort that used a lot of herbs and flowers in its spa treatments. One of them was roses which I’d never had in a spa and I’ve a soft spot for rose gardens. I spend a lot of summer afternoons with my husband at The Rose Garden in Regents Park. I think the combination of that spa treatment and a scent which gave me a comforting memory reminded me how therapeutic a rose fragrance can be. 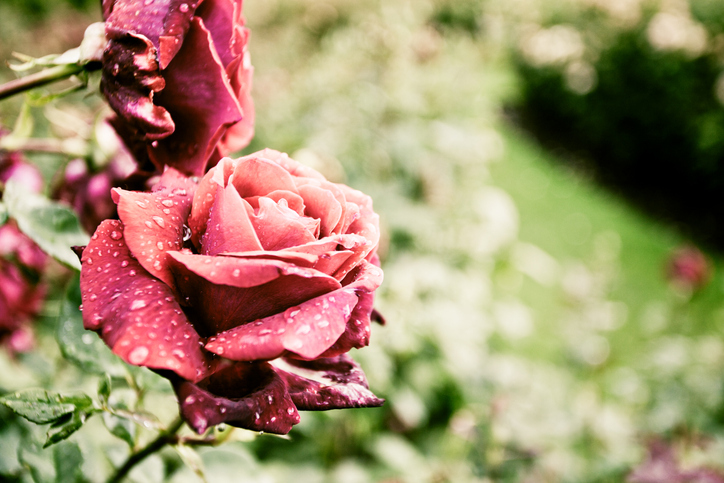 Roses have that smell which makes you float with a smile. Plumeria was originally inspired by Thai spa rituals. But the flower is found and used in so many places we decided to name the scent after the flower and ultimately the man who discovered it - Charles Plumier (Louis XIV’s botanist). It gives you that warm and “blissed-out” feeling - somewhere between a lotus blossom and honey. Are there any more fragrances planned for the range? There were a few more which didn’t make the shortlist for the launch. They’re ready to go but we’ll have to see how the range is received. So far, we’ve had great feedback, but it takes a bit of time to get a feel for what’s working and what other fragrances are needed to balance the collection. For the time being, I think there’s a good fragrance balance across the range between scents that soothe and those that uplift and clear. We’ll see. There’s one fragrance that I’m desperate to release but I’ve been told by the team not to mention it yet. And besides that, we can’t agree on the final name. 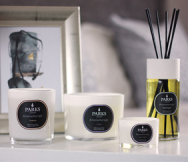 Click here for the full list of products in the brand-new Parks London SPA range.